This is Part 3 of our Annual Report Blog Series. In Part 2, we offered some suggestions on what to include in your annual report. In this post, we’ll help you understand how to tell your story so that your content is both engaging and compelling. You’ve seen many blog posts and articles advising you to “tell your organization’s story.” But what exactly does that mean; and how can you do that in an annual report? Many years ago when producing an annual report for a charity, I proposed that we describe the various programs and services in the annual report using real-life examples (stories) of individuals who had experienced and benefited from each initiative. This idea might not sound too inventive today, but at the time, it was a very different approach from the organization’s previous versions that had included a write-up from a committee volunteer. It took a little convincing, but once implemented, the staff and volunteers saw the benefits of this approach – it demonstrated the results or accomplishments of the programs rather than listing their intentions. It made for more compelling content with a broader appeal and usage, by literally putting a human face on the work of the organization. The result was that we turned a rarely read annual report into a vibrant, timely piece that the local chapters found so effective that we had to re-print it! You may be thinking that it all sounds like a lot of extra work - identifying individuals and gathering details from them so you can tell their stories. But if you stop to think about it, you’ve probably already collected “stories,” quotes and testimonials from individuals who have benefited from your programs and services throughout the year. If you don’t personally have access to these, figure out which staff member or volunteer can help out. If you’ve already developed your annual report’s draft content list – look through it and figure out how you can weave stories or even quotes and testimonials into each section. At the very least, try to include a photo and caption that brings your content to life and demonstrates the accomplishments you’re describing. You should definitely show as well as tell your story. If you have photos of your organization in action, images of individuals who were recipients or contributors to your initiatives – be sure to include these. Readers are always drawn to photos, so try to include a brief but informative caption for folks that are scanning down the page. If you are creating an online or digital annual report you can also link to or embed videos into your report to illustrate stories or else use still shots or brief clips from a longer video. Remember – if you are using photos or videos in either an online or printed version, be sure to get permission to use these from those being featured. Leave sufficient margins and white space. Break up long sections of text with informative subheads, photos and photo captions. The subheads and photo captions are some of the most-read parts of your document. Be sure people who skim read just these parts of the report will still get your key messages. The next, and final installment in our Annual Report Blog Series will be: Choosing a Format for Your Annual Report – which we'll publish on Wed. April 25. You can also check out our new resources: Getting Started With Annual Reports and our Annual Report Checklist in our Membership Knowledge Hub. 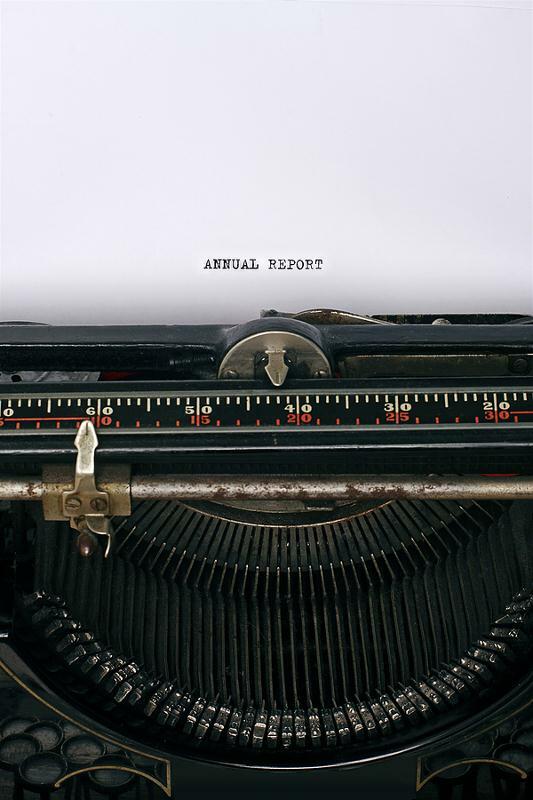 Have you included stories in your annual report? We’d love to hear about your experiences in the comments below. Photo source: Annual Report from BIGSTOCK. Great article! I love your point about demonstrating results rather than listing intentions. Thanks for the article and all the best to you. Karen: Glad you liked the post and thanks for the info on your workshop - how timely! You make some excellent recommendations in this piece. I'd like to share an annual report that I designed for the Brandywine Health Foundation (http://www.brandywinefoundation.org/sites/default/files/BHF_CommunityReport_2011.pdf) because I think it is a good example of some of your points. This year is the foundation's 10th anniversary; in just 8 pages, our task was to provide an overview of the organization's accomplishments and inspire readers to continue their support since there is still more work to be done. We began telling the story right on the front cover, with text that begins: “Ten years ago...” (as in “once upon a time”) Inside, instead of telling in-depth stories, we used large photos, large call-outs and display headlines in a journalistic-photo essay style so that by simply viewing photos and reading short copy, the viewer would understand the foundation's mission and impact immediately. We coupled this with a timeline marking the foundation's major milestones. At the beginning of the donor listing, there is short thank you copy that also mentions achievements and future goals. The back cover has a double-sided flap extension (at the end of the pdf) that highlights results, both in services provided and sound fiscal management. Readers are directed to visit the web site, where the stories of those featured in the print report are fleshed out in videos on the home page. At one time, we listed all of the volunteers in the report. This became unwieldy, so now all volunteers are listed on the web site. I have found that integrating traditional print with online tools is the most effective way to communicate with a diverse range of stakeholders. Thinking this process through from the beginning is key to making everything work together. Thanks for providing such useful information. I am a devoted follower! Amy: thanks for sharing that example. And yes - for many organizations, integrating trad'l print and online is a good fit.